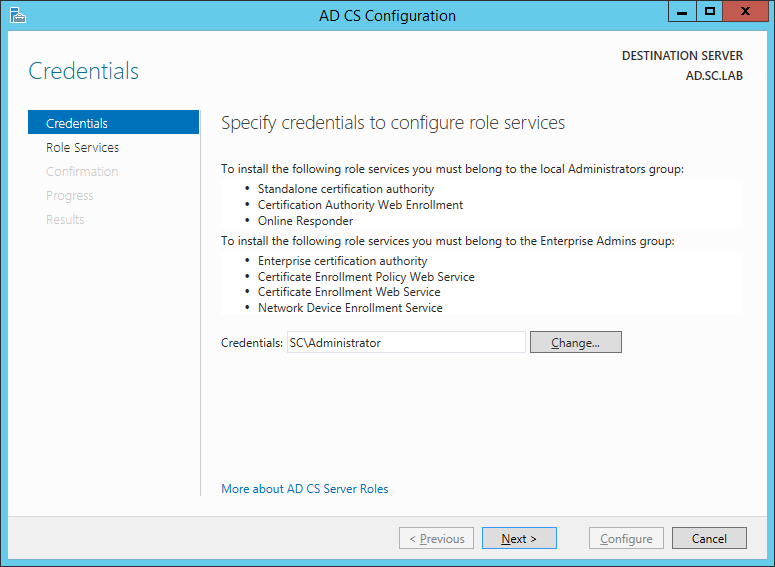 On the Credentials page, supply appropriate credentials and then click Next. 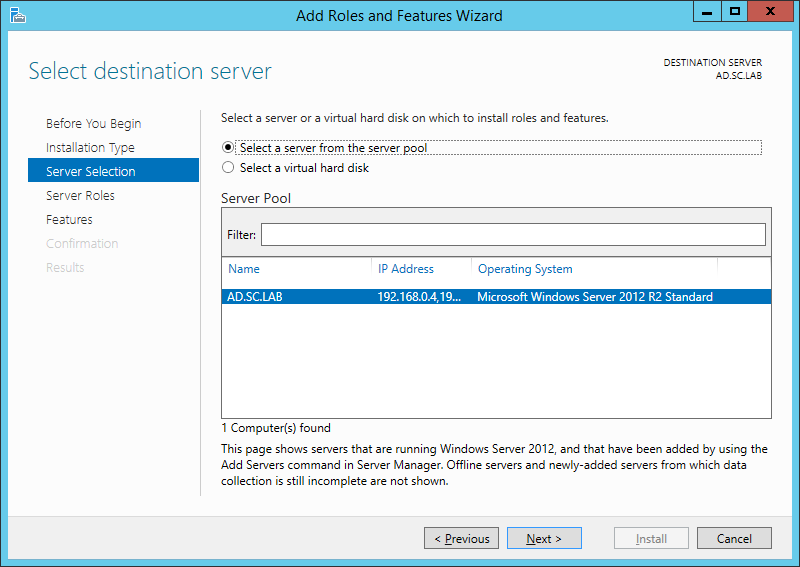 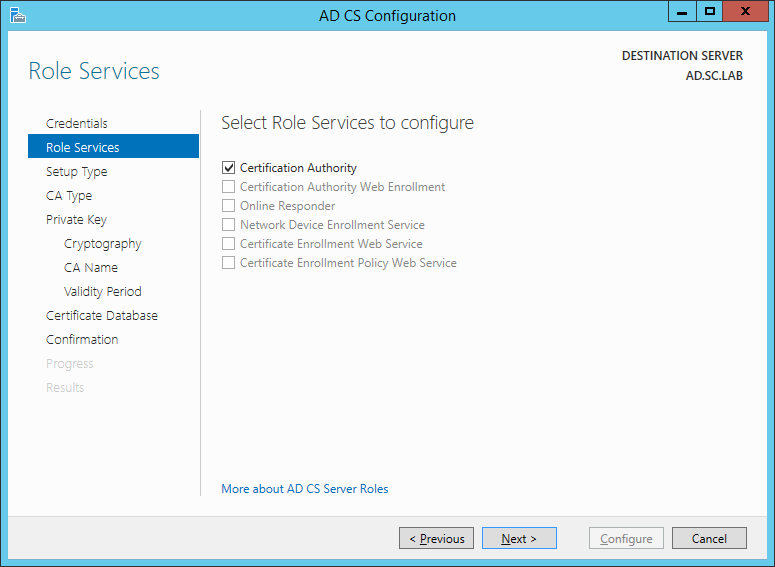 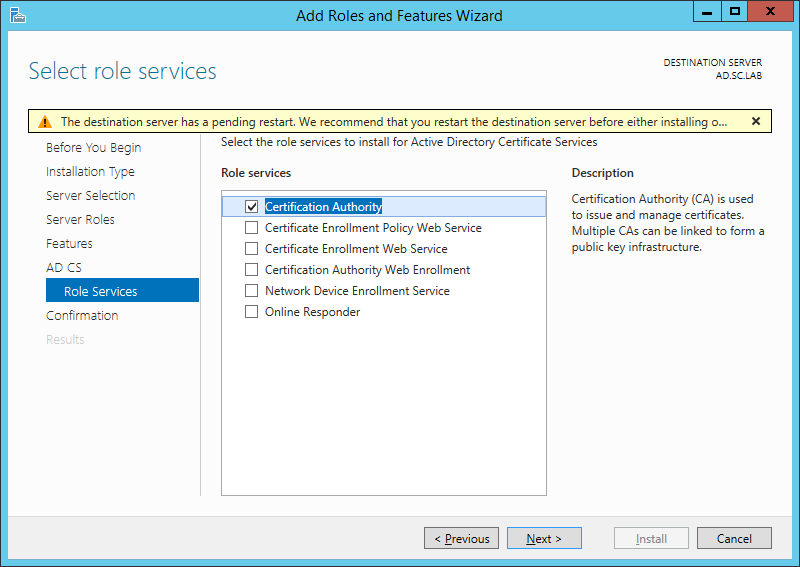 On the Role Services page, select Certification Authority and then click Next. 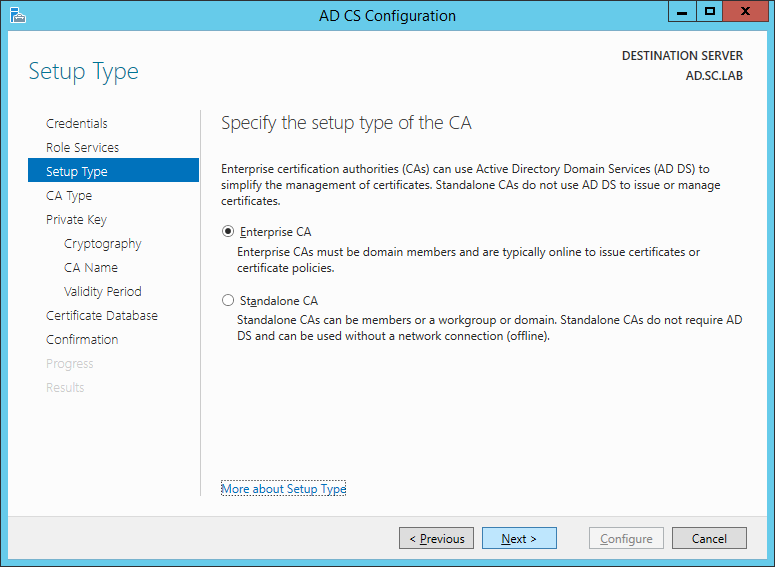 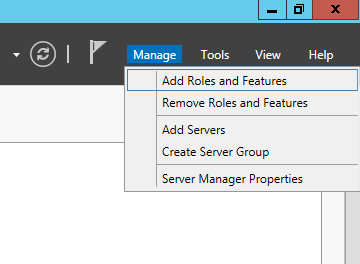 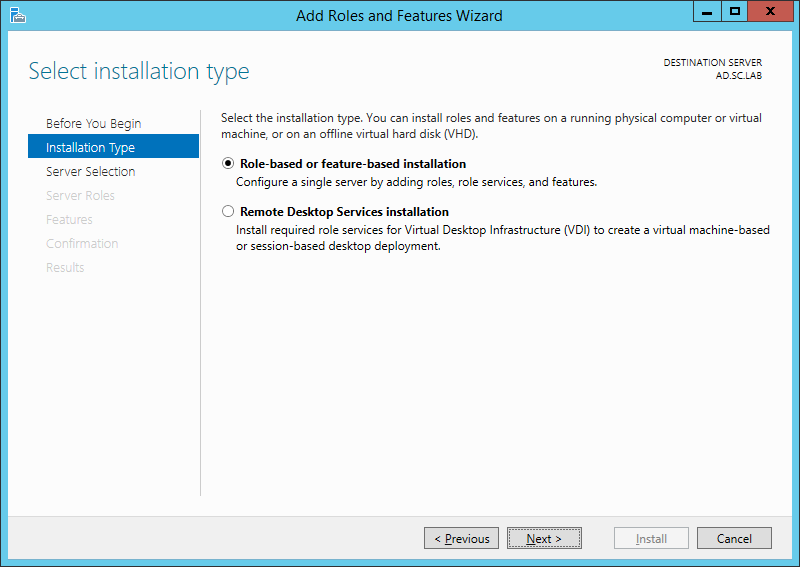 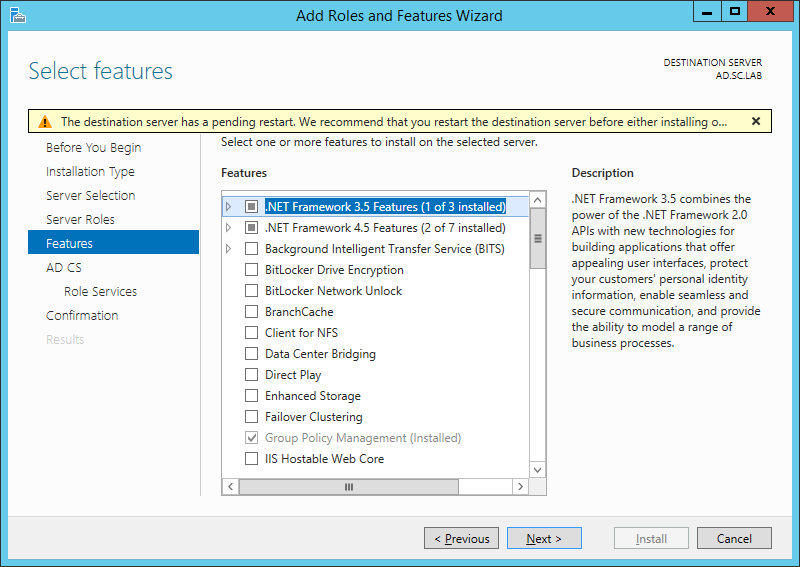 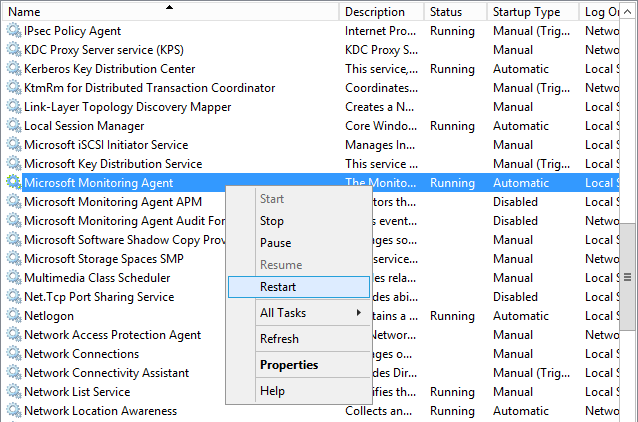 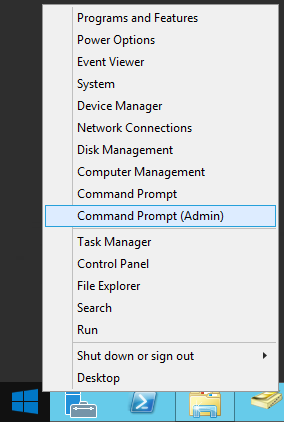 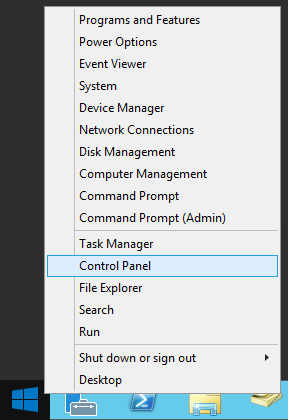 On the Setup Type page, select Enterprise CA and then click Next. 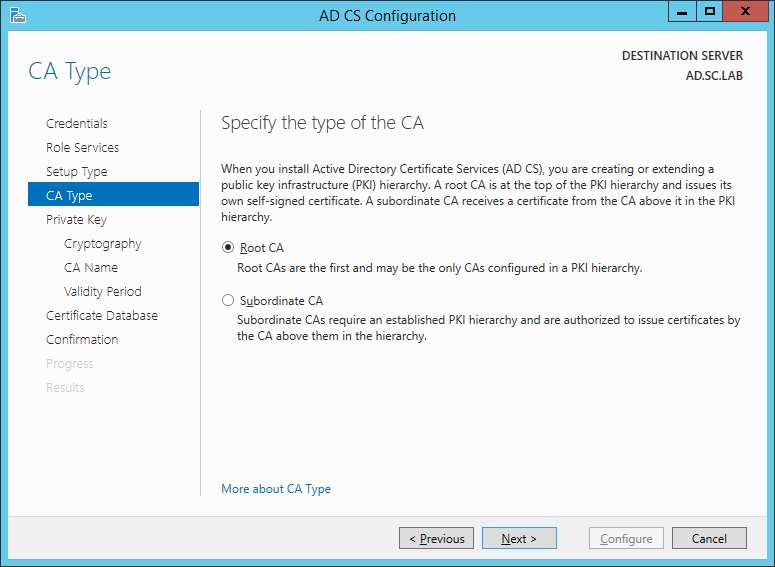 On the Specify CA Type page, select Root CA and then click Next. 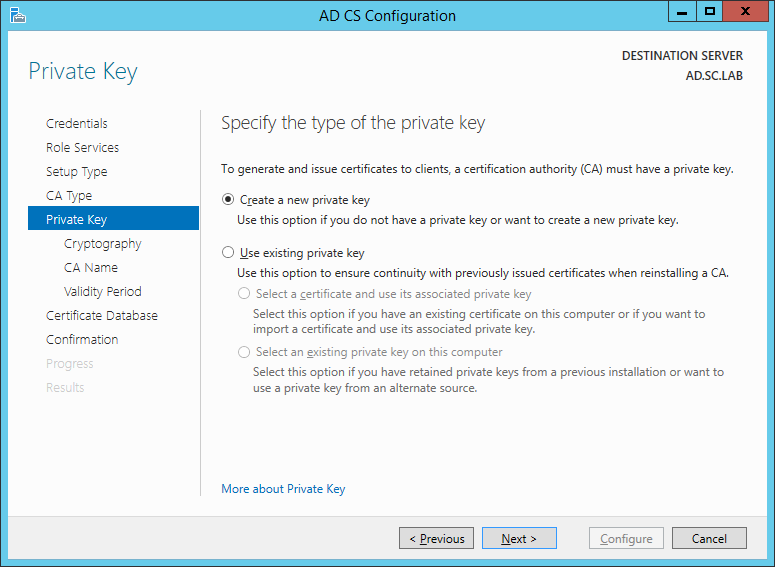 On the Set Up Private Key page select Create a new private key and then click Next. 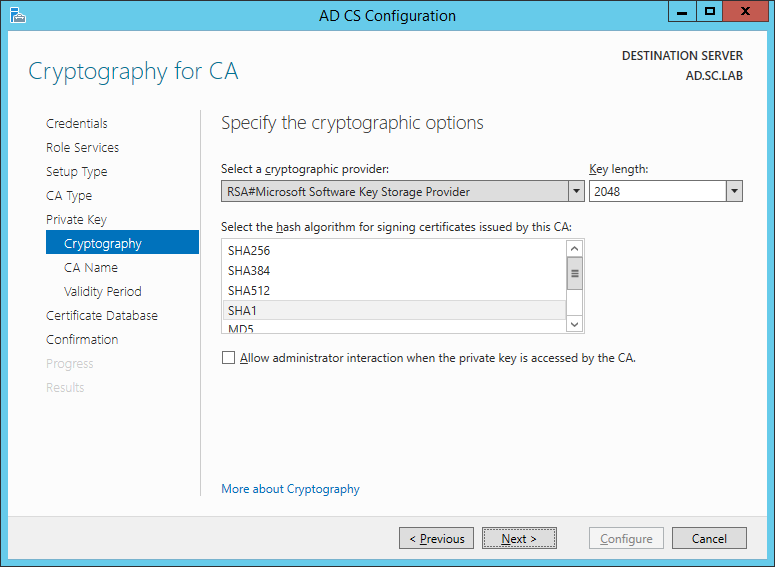 Leave the defaults on the Configure Cryptography for CA page, and then click Next. 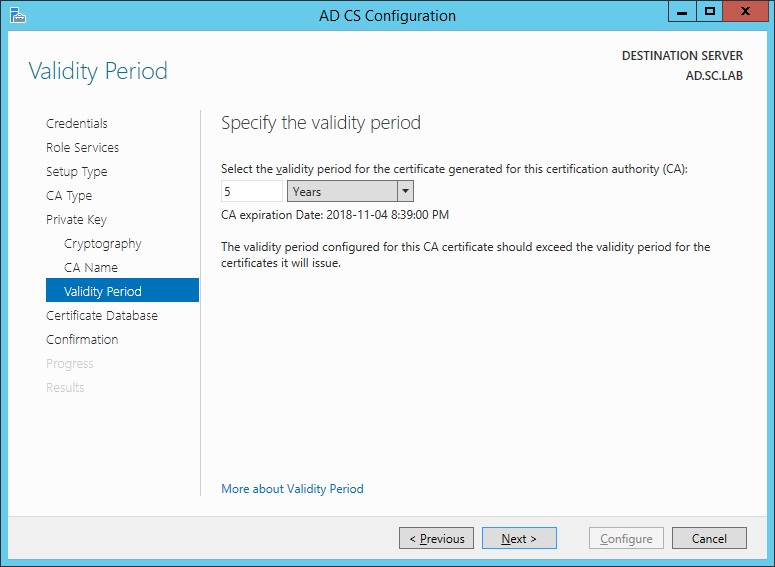 Important: CSP, Hash Algorithm and Key length must be selected to meet application compatibility requirements. 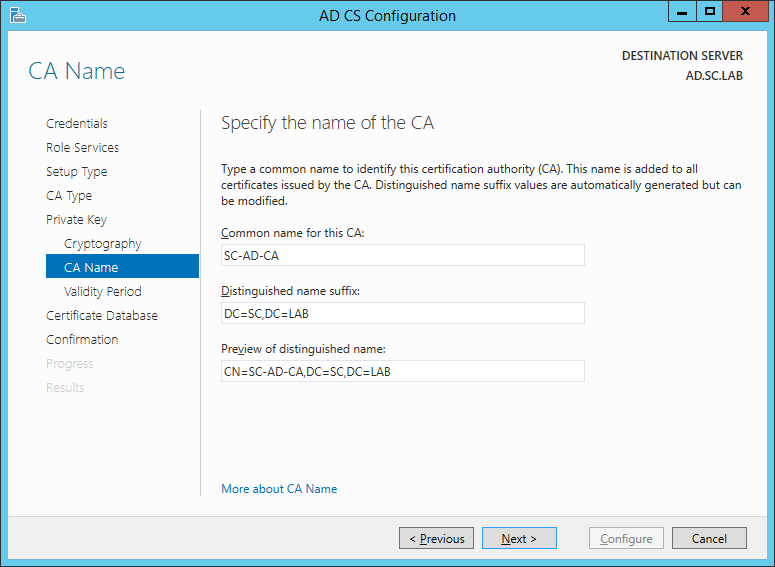 On Configure CA Name page, enter Domain Root CA (ex. 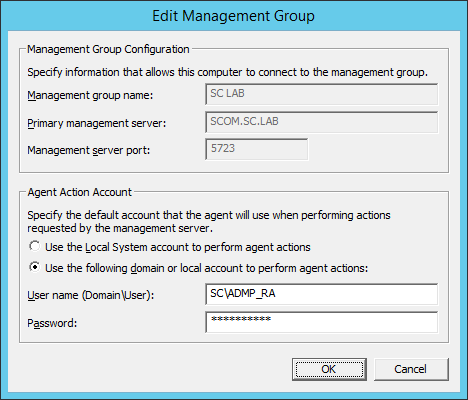 SC LAB Root CA) in the Common name for this CA field, and then click Next. 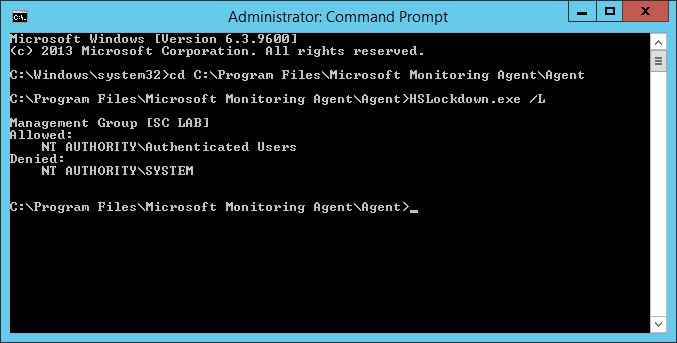 On Set Validity Period page enter 10 Years, then select Next. 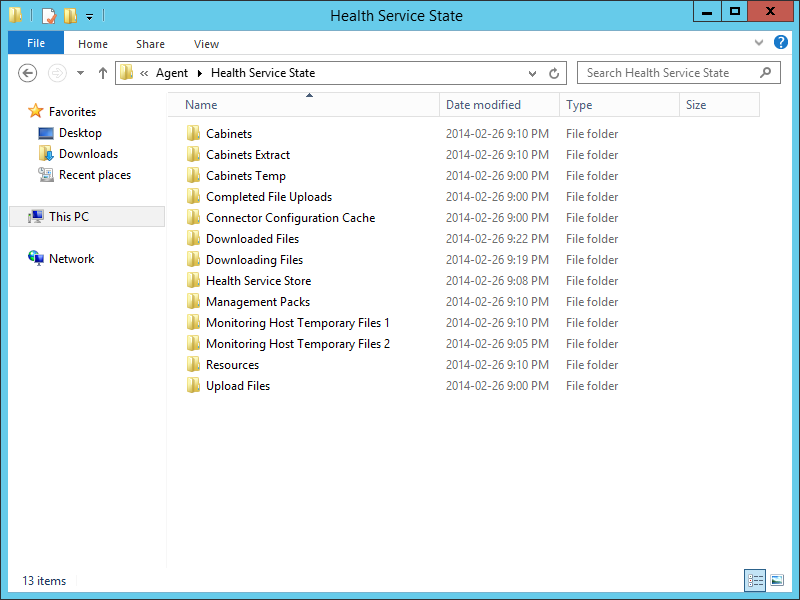 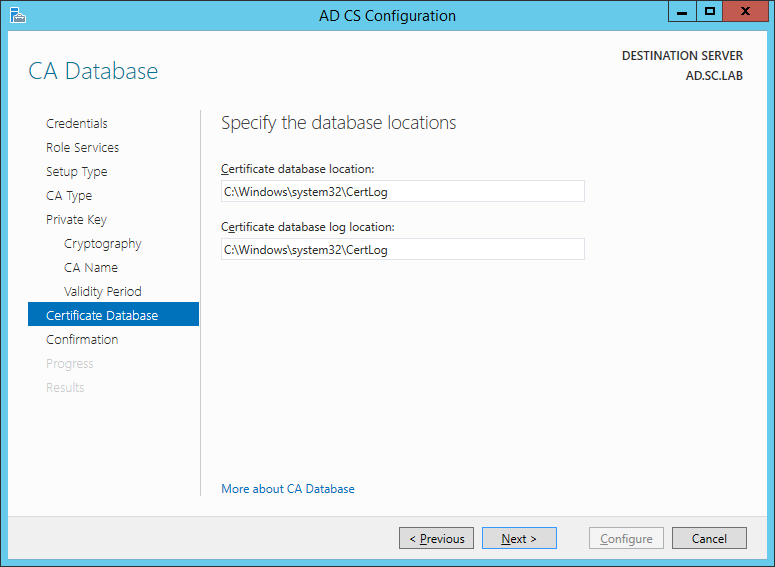 Keep the default on the Configure Certificate Database page, and then click Next. 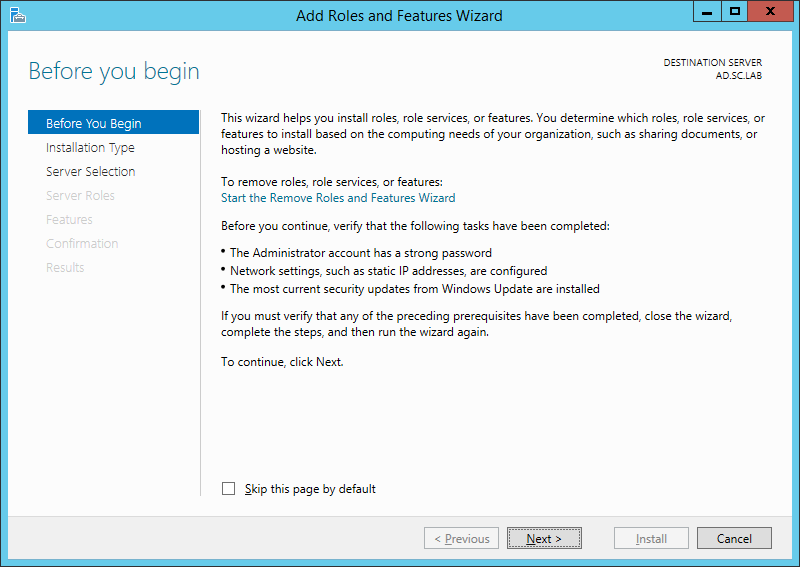 On the Confirmation page, click Configure. 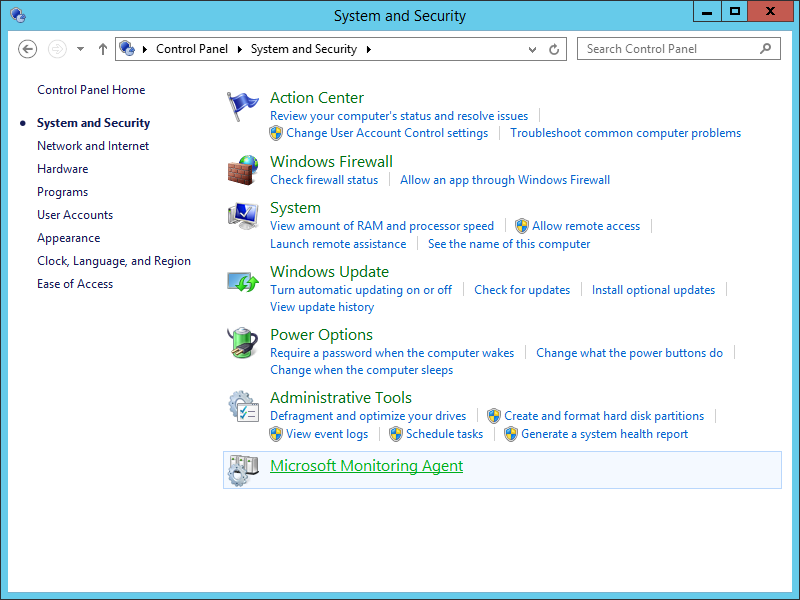 Review the information on the Results page to verify that the installation is successful and then click Close. 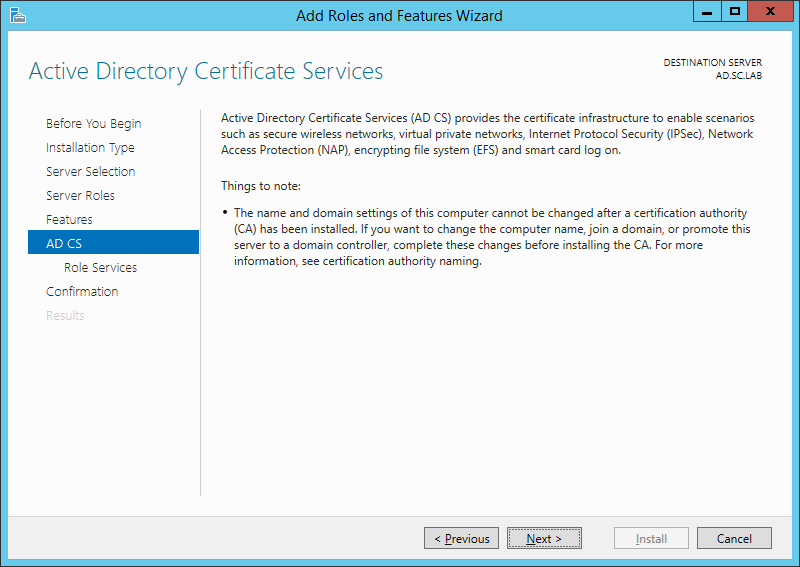 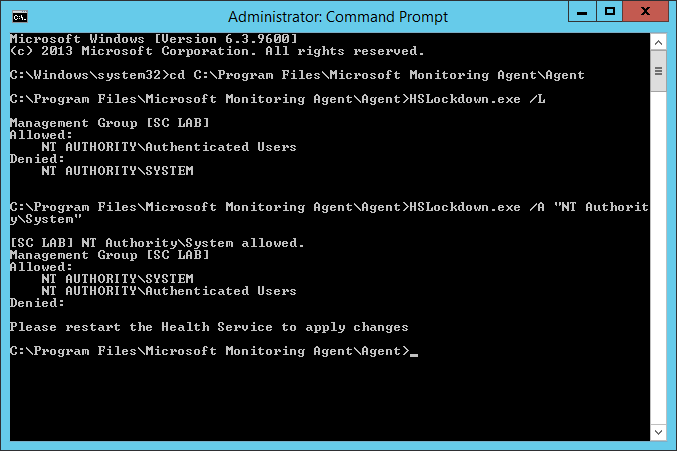 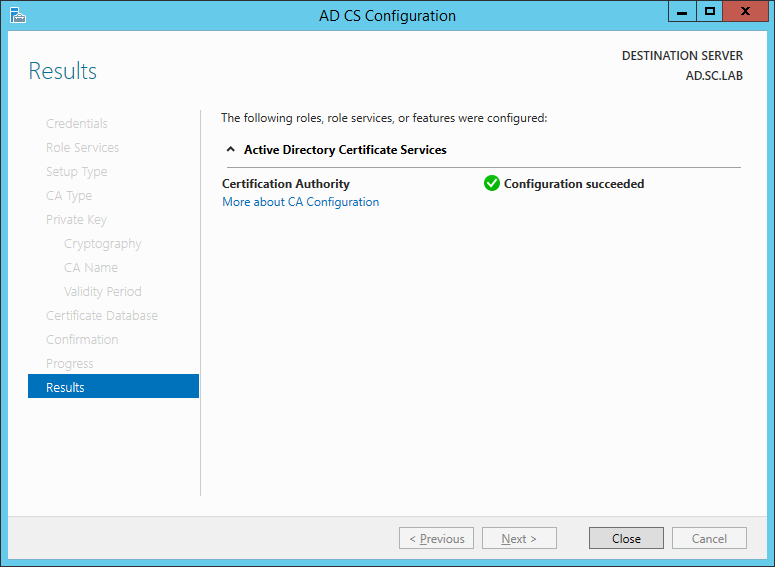 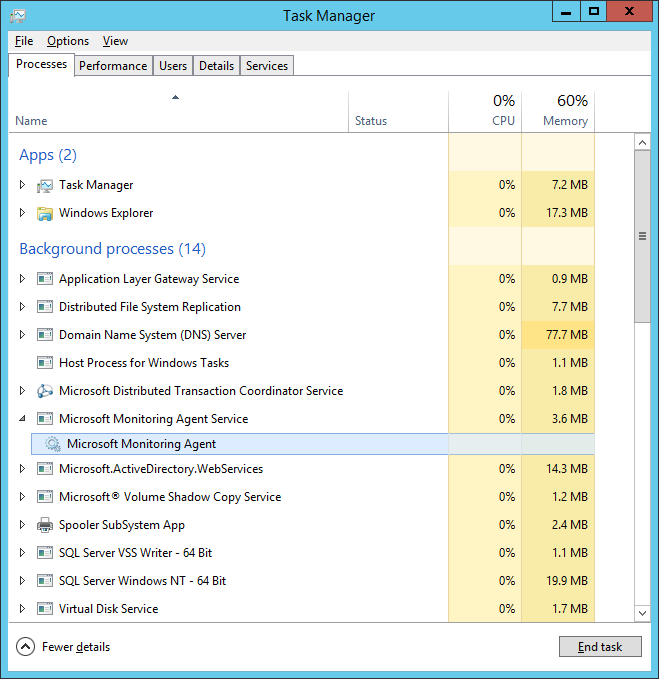 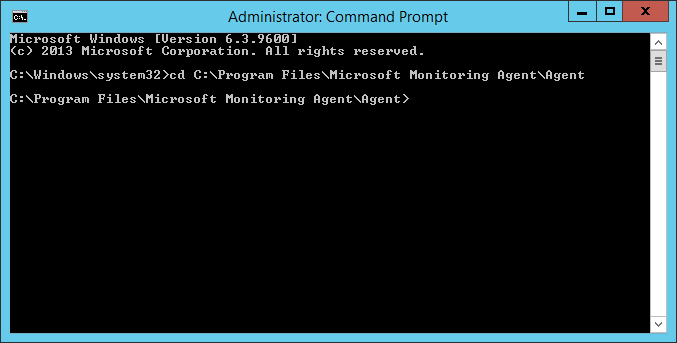 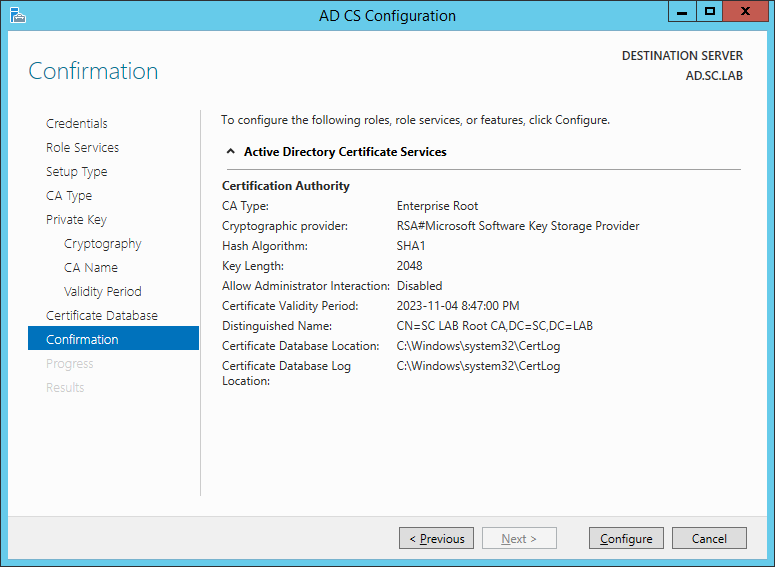 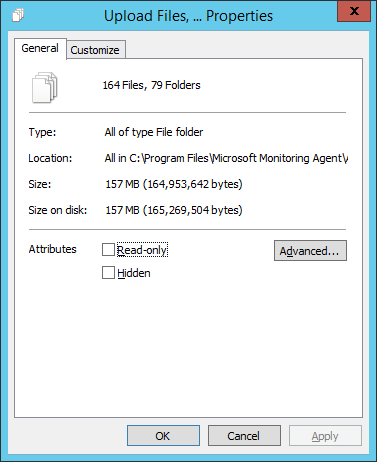 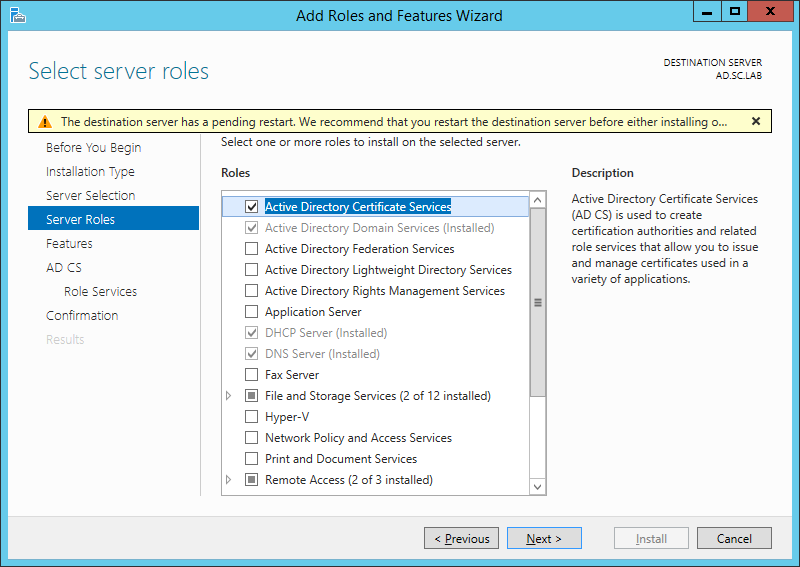 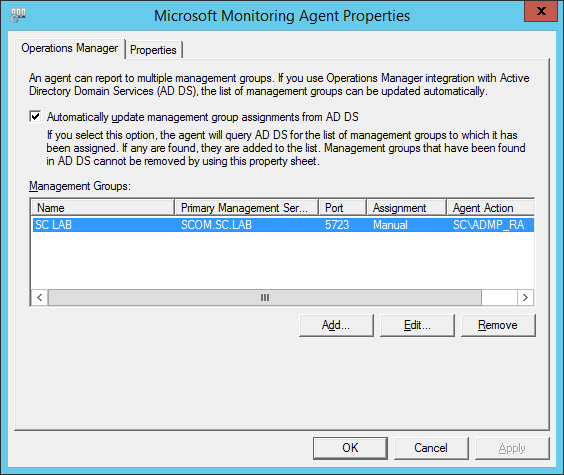 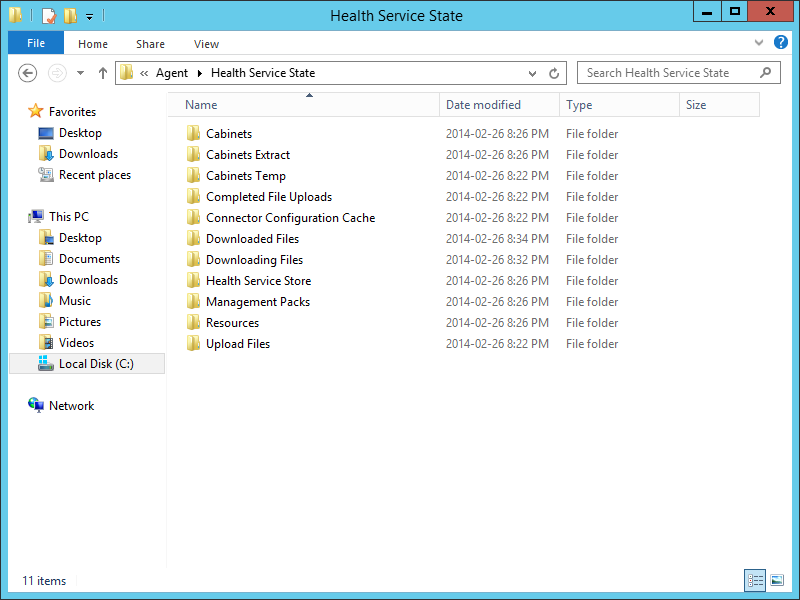 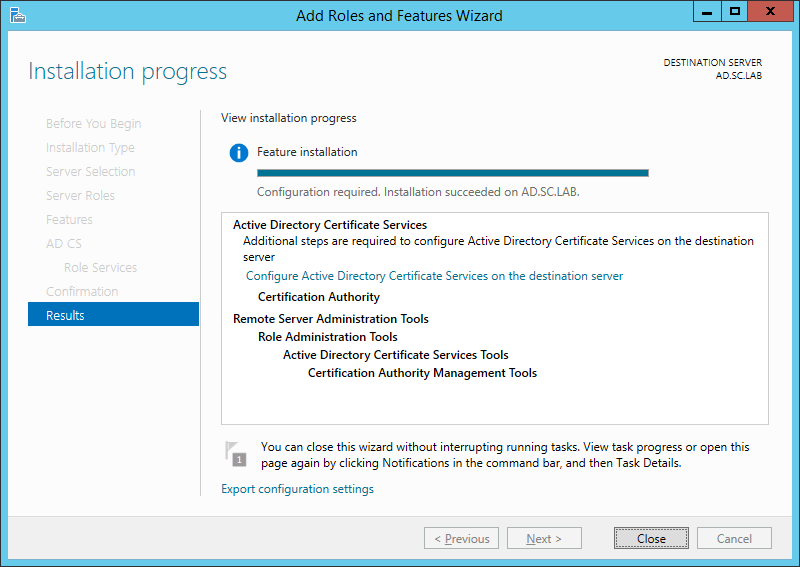 You now have Active Directory Certificate Services installed.